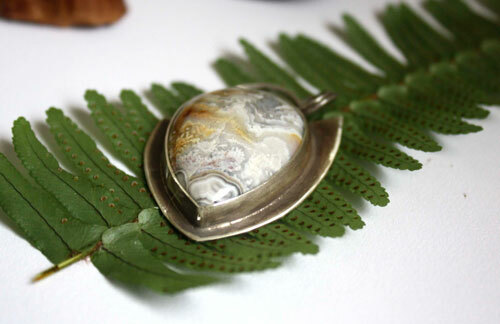 This pendant is made of sterling silver (925) made by hand in my workshop, and a beautiful mexican crazy lace agate. 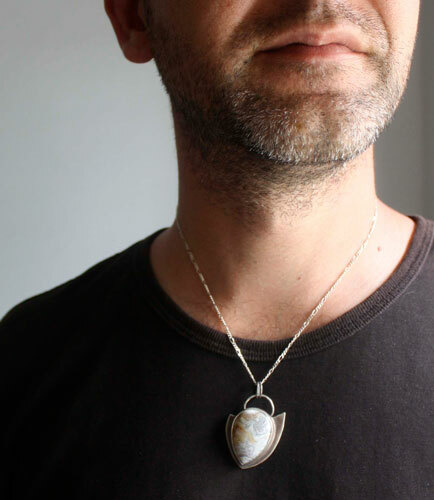 Kaari is a pendant, which adopts the shape of a flared arrowhead which one wing of the tail unit is longer than the other one. It therefore has an asymmetric look with a rather fantastic style that I really like. 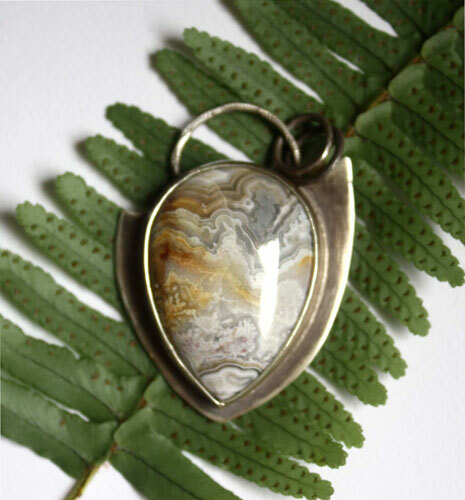 This masculine pendant is set of a Mexican crazy lace agate teardrop. 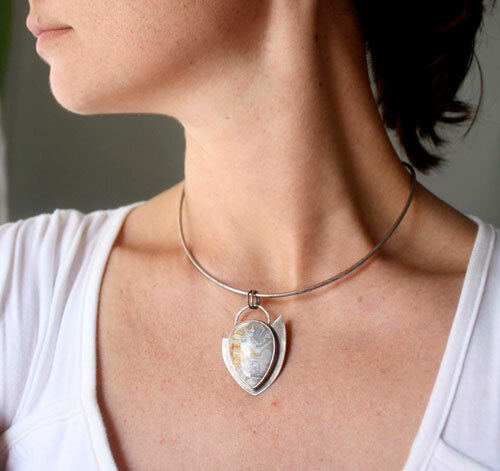 The main feature of this semi-precious stone is to present a series of undulating line in any direction on its surface. In this case, these crazy lines are orange-yellow to grayish-white. Kaari means arc in Finnish. 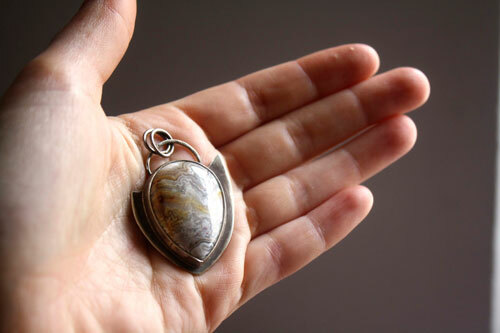 I also sawed a simple pattern that remindsthe shape of the pendant. It is signed with my initials on the back. The surface is 4.5 x 3 cm. 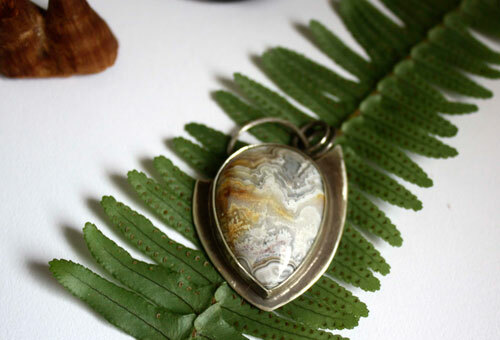 Rustic setting to strengthen the male touch of this pendant. 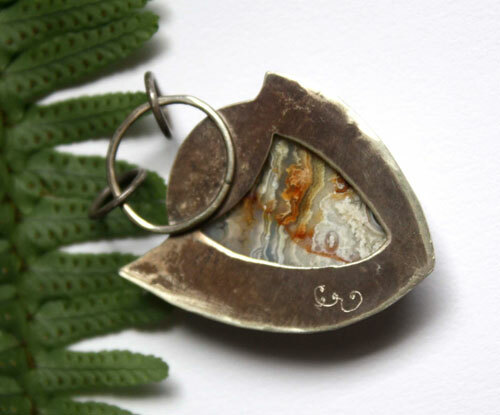 Tag: pendant, sterling silver, man, unique, Mexican crazy lace agate, gift, valentine, mother’s day, birthday, cabochon, semiprecious stone, arrow, point, bow, crossbow, male, magic, magical, fantasy, mythology, north, nordic, legend, line, ripple.